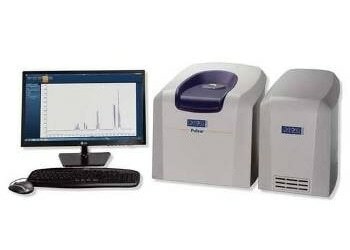 The MQC+ benchtop NMR analyzer from Oxford Instruments measures fluorine, water, oil and solid fat in a range of samples and is commonly used for quality control and quality assurance. 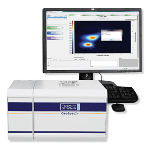 It takes a few seconds to a few minutes to complete an analysis using the MQC+, which means that plenty of samples can be processed swiftly and efficiently. As NMR signals are produced from all parts of the sample not only the surface, even if they are opaque, more accurate measurements are assured. NMR measurements do not impact the sample; therefore samples can be retained for repeat measurements or to be tested using other methods. 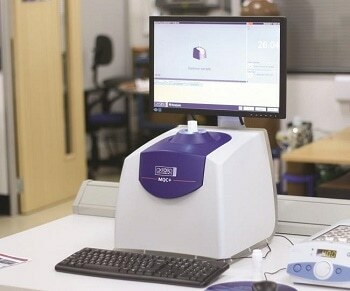 Grinding or other types of sample preparation are seldom required. Samples are just moved into a sample tube, conditioned and then tested. The MQC+ NMR technique does not need solvents or other chemicals, thus eliminating the need for expensive disposal processes, fume cabinets and specially trained staff. 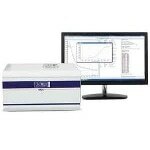 The MQC+ benchtop NMR analyzer is simple to use. Lab Technicians need minimal training, therefore can be productive very quickly. The software offers the operator step-by-step guidance with precise on-screen prompts; there are also status indicator lights at the sample chamber entrance. Operator prompts can be modified and displayed in any language. In a number of industries, there is a requisite to reliably, accurately and easily measure the quantity of a liquid or viscous component in the presence of other solid materials. The MQC+ meets this necessity with a technology that avoids the need to separate the various phases; making sample preparation a minor activity, removes the need for widespread operator training and provides rapid accurate results. That means a more consistent product from manufacturing operations, reduced costs and improved process control. 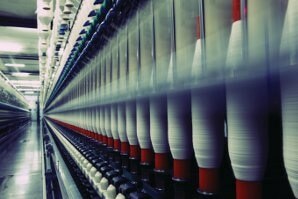 The efficient processing of fibers, which are additionally processed into yarns and in turn knitted or woven into produce textiles, is based on several properties including the electrostatic charge and the coefficient of surface friction. Control of these properties is accomplished by applying a carefully controlled quantity of an oil-based coating onto the fibers. These liquid coatings are applied at a range of stages in the manufacturing process, at times as early as fiber extrusion in artificial fiber manufacture, but at times as late as application to woven or non-woven fabrics. Application of the precise amount of liquid coating is very important for both performance and economic reasons. Excessive coating can cause insufficient inter-fiber cohesion, uncontrolled fiber behavior, buildup on downstream machinery and problems with downstream processes such as dyeing. Also, too much coating is a pointless increase in cost in a very cost-sensitive industry. Conversely, too little coating results in problems from excessive friction, causing erratic fiber behavior, excessive static charge build-up, yarn breakage and uncontrolled performance in downstream processes.